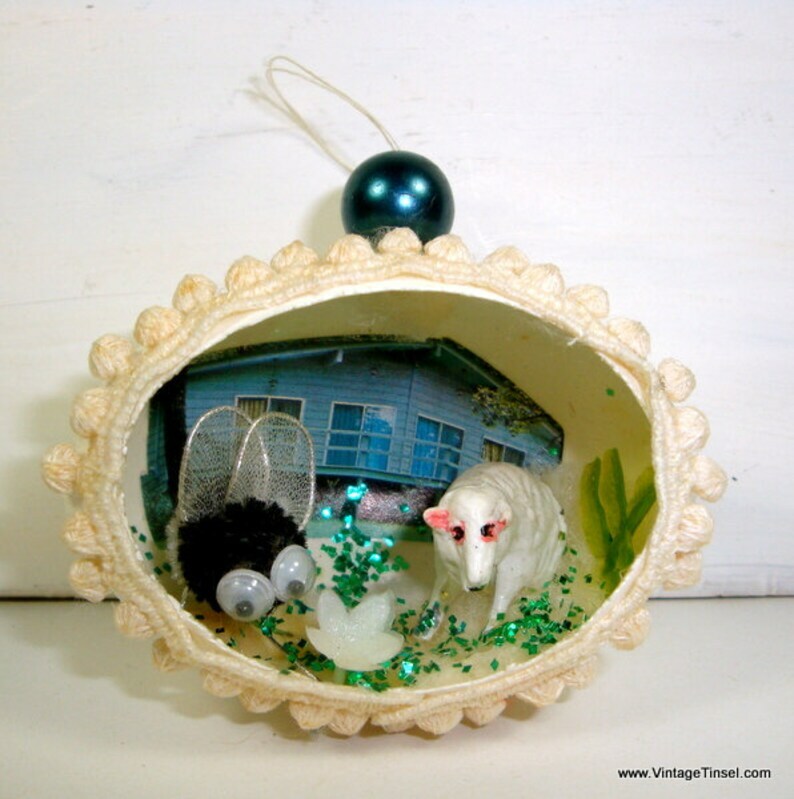 Sweet diorama Christmas egg ornament. A picture of a home is in the background with a bumble bee and possibly a lamb used as a dog? Could just as easily be used for an Easter ornament with the spring time scene. in the front yard. Green glitter for grass. 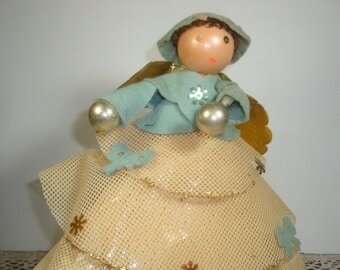 Egg is covered with glitter so it will certainly shine on your holiday tree. 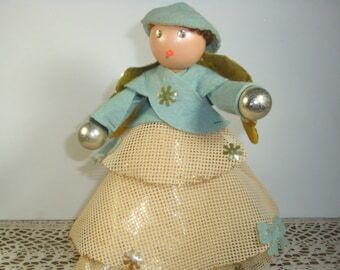 Handcrafted, probably in the 1960's or 1979's. There is a thread to hang from your tree. Questions? Please ask! In good vintage condition for age. View the photos as they are part of the description. More diorama eggs? Combined shipping is available. Return to VintageTinsel and thanks for looking!